If you are like us, you have some pet clothes for your pets. And when they get a little dirty or smelly or gross, wouldn't it be nice to wash them in a specially formulated detergent that is meant for pets only? 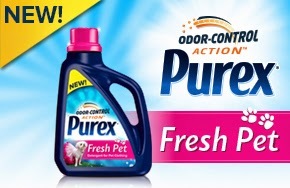 Now you can with new Purex Fresh Pet Laundry Detergent. I really like how it is formulated for your pet's skin and is better for them than regular human laundry products. With odor control and the cleaning power of Purex, it is sure to delight you. Introducing NEW Purex Fresh Pet-Cuddly clean clothes for your furry family. Purex Fresh Pet keeps your furry friends clothing bright and clean just like yours! 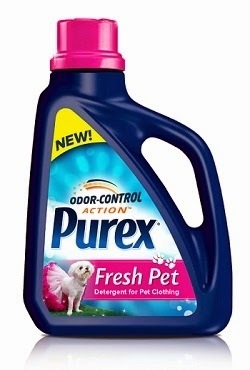 NEW Purex Fresh Pet Liquid detergent with Odor Control Action is a premium pet clothing formula that is specifically formulated to condition and moisturize your pet's coat and eliminate odor while they wear their favorite outfits. Whether lounging around on the living room rug or strutting their stuff on a neighborhood walk, your pet's outfits will surely be noticed. 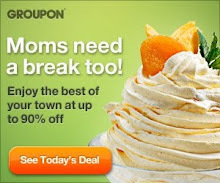 Check it out in the laundry aisle at your favorite retailer. Disclosure: Purex provided me with a sample of Purex Fresh Pet detergent for Pet Clothing in exchange for a product review. However, all the opinions expressed here are my own.